A pretty sweet eBay pick up today, besides being Winston Churchill's grandfather, Leonard Jerome had a pretty colorful history in american finance. During the New York Draft Riots, Jerome defended the New York Times office building with a Gatling Gun. 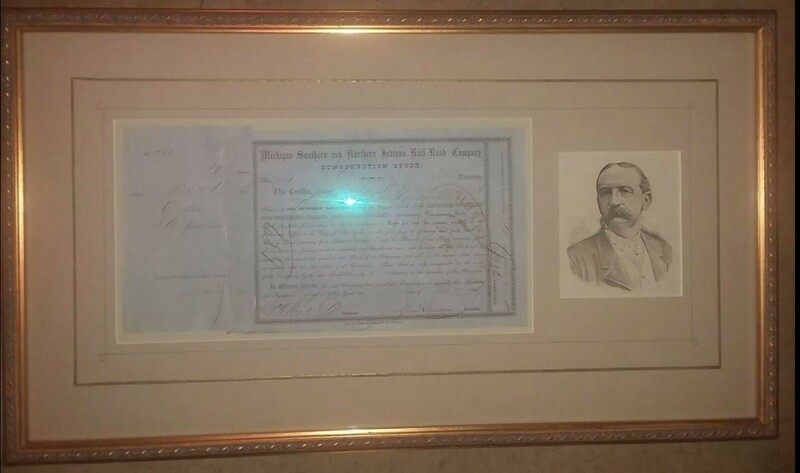 Crappy eBay photo and the certificate itself is not exactly the height of the printer's art, but nicely historical. Has George LaBarre letter on back. Wow, quite a life! Sadly, his defense of journalism is not reflected in modern times.